Published by Killings, 26 March 2014. Original post. 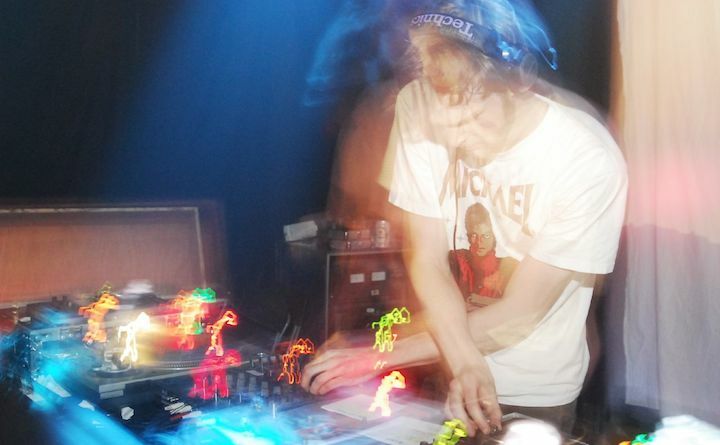 Todd Terje by Lei Yang (Creative Commons). I’ve spent the last two weeks in a state of perpetual excitement—musically speaking, that is. First came tUnE-yArDs’ new song, ‘Water Fountain’, a joyous, riotous explosion of colour and movement. Then Swans released ‘A Little God in My Hands’, a seven-minute epic of a track that chases a noisy, transcendent ecstasy. Finally, Todd Terje released his collaboration with Bryan Ferry: a cover of Robert Palmer’s ‘Johnny and Mary’ that ramps up the latent sadness of the original into something surprisingly moving. All of these tracks are freely available to stream or download online, but they’re not exactly being given away. Instead, they are sorties in a perpetual struggle for what technologists are calling ‘mental bandwidth’ or ‘the attention economy’—essentially, the struggle to get an audience to care about something for more than three minutes. In the case of each of the three aforementioned songs, that attention is being channelled towards forthcoming album releases: tUnE-yArDs’ Nikki Nack (due May 5), Swans’ To Be Kind (due May 13), and Todd Terje’s It’s Album Time (due April 8). Each of these albums promises to be excellent—all indications thus far point to each album furthering their creators’ idiosyncratic aesthetics. And there have been a lot of indications thus far: ‘Water Fountain’ was preceded by a ‘megamix’ of snippets from Nikki Nack; To Be Kind was preceded by a live album, Not Here/Not Now, that contains many of the same songs; and ‘Johnny and Mary’ is the sixth song of twelve from It’s Album Time that has seen some form of prior release. Those promoting these albums run the risk that their audiences will have practically heard the album before actually being able to listen to it. This is a risk that music consumers themselves are complicit in. The music industry has been particularly stricken by the bad consumption habits that the hyperlinked, hyperactive nature of the internet has engendered; consumers are no longer willing to wait to hear an album once they know it’s on the way, and if they can’t get it legitimately then an enterprising leaker will almost certainly oblige. The steady drip-feed of new music seeks to circumvent the market mechanism that tempts the engaged music consumer to pre-release piracy—the theory is that promotion teams should give consumers enough for free to sate their appetite for novelty and instant gratification while withholding enough to whet an appetite for the finished product. Swans, ‘A Little God in My Hands’ (2014). Of course, piracy and leaking was a pre-internet phenomenon—just ask Warner Brothers, who laid the blame for the commercial failure of Fleetwood Mac’s Tusk on the fact that seven RKO radio stations broadcast an unauthorised advance copy in full, much to the delight of home tapers. And while record companies have always drip-fed new music to distribution networks—singles going to radio stations, for example—the sheer amount of material released before an album hit the shelves and the ease of accessing that material via the internet threatens to reconfigure the way we listen to anticipated albums. For example, St. Vincent’s recent self-titled (and rather brilliant) album contained only three songs (out of a total of eleven) that hadn’t seen some form of prior release. Listening to an album when three quarters of it has already appeared for free feels less like a considered engagement than a filling-in of the gaps; it takes our attention away from the work as a whole in favour of a meaner, more parsimonious engagement with only those songs with which we’re not already familiar. Todd Terje, ‘Johnny and Mary (feat. Bryan Ferry)’ (2014). As long as music consumers display this kind of impatience, though, it’s highly unlikely that these drip-feed campaigns will cease. A small number of artists may have the resources and clout required to release an album by surprise, with no pre-release publicity—as Beyoncé famously did last year, and Jack White’s band the Raconteurs did a few years prior—but like Radiohead’s name-your-own-pricing experiment for In Rainbows, this not a sustainable tactic. I’ll happily go out and buy copies of Nikki Nack, To Be Kind, and It’s Album Time when they are released, but I won’t be so happy about the fact that those albums will have lost some of their magic before I can even listen to them—and I won’t be happy knowing that I’m as much to blame for this as the artists and their PR teams.